This is a picture of some cross-sections of my brain. It’s an MRI scan that was taken in 2005 as I began to undergo the process that eventually led to a diagnosis (in 2009) of multiple sclerosis. I endured a range of interesting tests over that four year period, including a lumbar puncture (shoving a massive needle with an attached tap inserted into my spinal column and draining fluid) and an evoked potentials test (sending electric currents through my leg and attempting to measure the delay in the signal between my twitching foot and my brain)… none produced anything as starkly beautiful as these images. “There is no evidence of a space occupying lesion. There is a mild enlargement of the posterior bodies and occipital horns of the lateral ventricles with a slightly colpocephalic appearance. Areas of ill-defined high signal change on FLAIR and T2 imaging are noted adjacent to the bodies of the lateral ventricles bilaterally and a small subcortical high signal lesion is noted involving the right middle temporal gyrus. There is no definite involvement of the corpus callosum or posterior fossa structures”. This process revealed to me both how amazing it is how much medical science knows, but also remarkable how little they show and how much more there is to know. 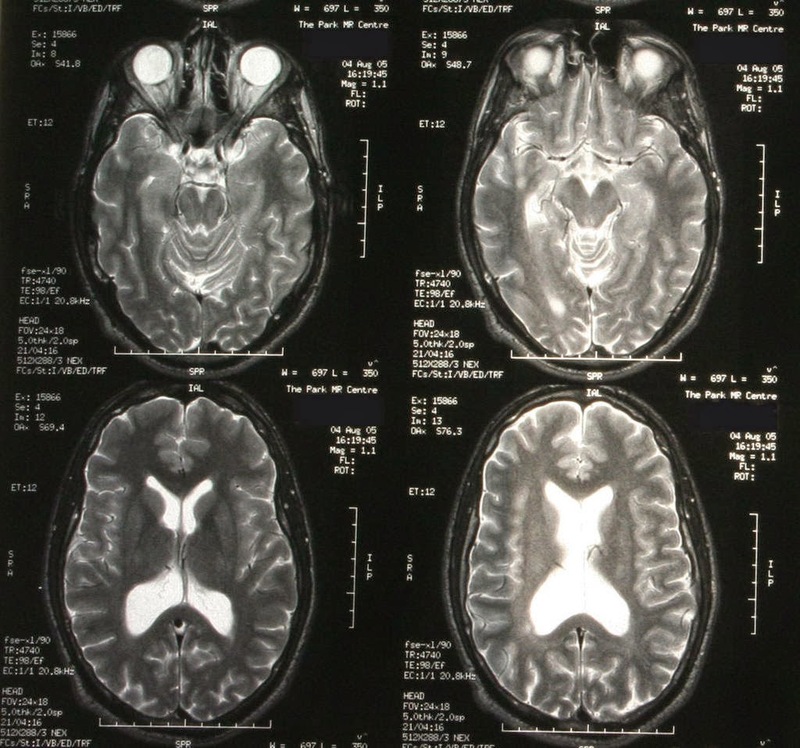 These images show evidence of the impact of multiple sclerosis inside my brain*. What they can never show is why I like both Scott Walker and Iron Maiden but find classical music oddly stressful; why I’m stubborn and argumentative to the point of stupidity; why I watch subtitled films but think that “Anchorman: the Legend of Ron Burgundy” might just be the greatest film ever made. Whilst those things remain a mystery, I’m firmly of the opinion that life’s too short to define yourself by a medical diagnosis. 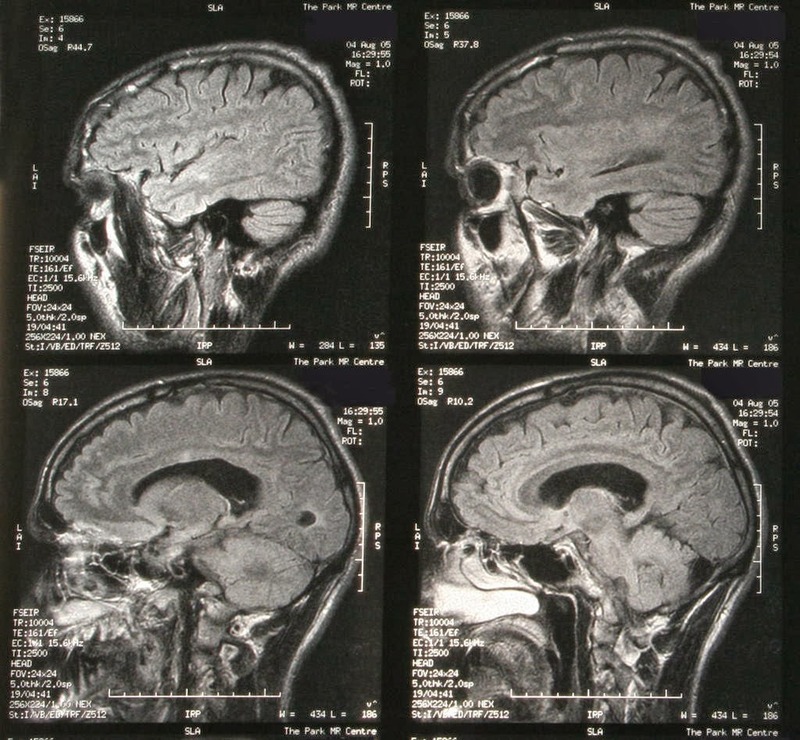 There’s no brain scan that can show your state of mind…. That’s up to you. * Maybe…. my neurologist actually disagreed with the report from my brain scan, seeing what the technician identified as a clear lesion in my brain as a grainy piece of film.